Our Custom vest carriers (also known as load bearing vests) are made to the exact size of the officer's body armor panels and individual measurements. BlueStone Safety Products is a defense company that manufactures custom load bearing vests for Law Enforcement and Security. Our Custom vest carriers (also known as load bearing vests) are made to the exact size of the officer's body armor panels and individual measurements. While we do offer our own exceptional 0101.06 Level 3A body armor panels, our vests can be made to accommodate any brand of body armor. Studies from Mayo Health Center have shown that wearing an external load bearing vest reduces & relieves hip and back pain. We create only the highest quality life-saving products for Law Enforcement, and always take the officer into consideration along with the department and Chief's wants and needs. What Sets Our Custom Vest Carriers Apart from the Competition? 1. Our Vest Carriers are custom made from start to finish. We make each of our vest carriers from scratch, using each officer's individual measurements and their body armor measurements to perfectly construct their custom vest. 2. Each vest is made to your department's exact specifications. Does your department need a velcro patch sewn onto your vest for your name tag? No problem. Need a second mic tab sewn onto the vest? Consider it done. If you have a request please ask us and we will find a solution for you. 3. 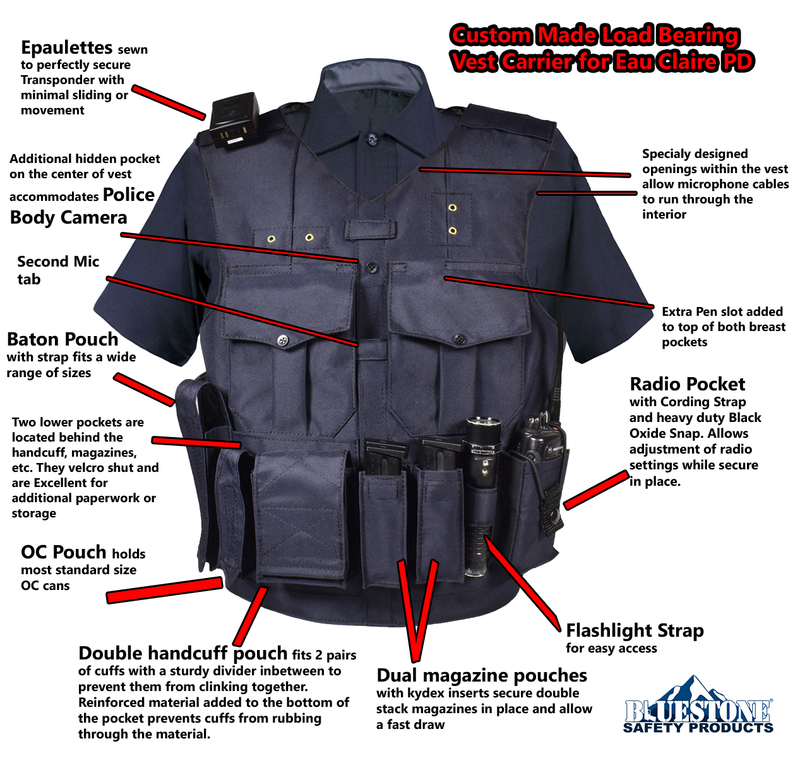 Our Custom Load Bearing Vests blend in with the Officer's uniform shirt, which keeps a clean and uniform look. This design keeps from looking tactical and instead closely matches the load bearing vest to the officer's uniform. Also, our custom load bearing vest carriers are made out of heavy duty denier cordura, which stands up to everyday use exceptionally well. 4. Ordering one of our Custom Vest Carriers is Easy! You can either follow our simple online ordering process or request a measurement kit be sent to your department free of charge. 6. Our Custom Load Bearing Vests are made to accommodate any brand of body armor. 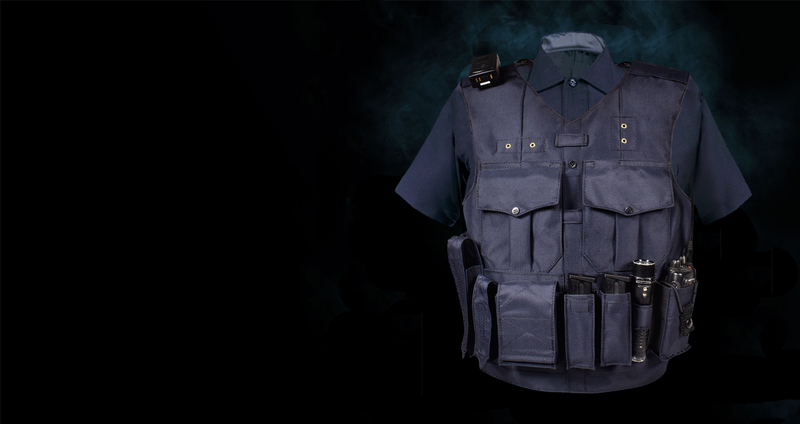 While we do offer our own high quality 0101.06 Level 3A ballistic panels, we will create our custom load bearing vests to fit any brand of body armor that your department has. Also, since we measure your existing body armor panels and house them in our external carrier, we will warranty our product.